For 35 years, PAREXEL Consulting has defined advisory excellence and innovation in pharmaceutical consulting. Our ability to help you maintain control of your regulatory pathway is rooted in our unmatched expertise – and proven by the sheer number of projects we manage: over 100+ marketing applications and submissions and 15+ global development plans every year. Led by 50+ former regulators, PAREXEL’s 1000+ regulatory experts cover 110 countries including the increasingly important Asian markets. Working together, we can provide the biopharmaceutical consulting services needed to help you plan earlier to extract greater value from your clinical trial data, and convert end-to-end clinical development, and commercial expertise into actions that speed the delivery of your therapy to the patients who need them. 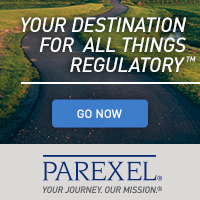 PAREXEL Consulting is your conduit to global accelerated drug development. We connect your journey with the expertise that gets you there – from Early Phase to In-Market. It’s all part of The Connected Journey™ of data-driven services, a first-of-its-kind, purpose-built ecosystem that combines PAREXEL’s human expertise, business processes, cutting-edge technology and data to simplify and accelerate drug development. Supporting the prioritization of assets and portfolios, including determination of the most optimal regulatory and clinical development paths. Instituting proactive compliance and risk management with a strong track record in regulatory crises management. Delivering a high quality, cost effective solution for lifecycle maintenance of established products. Ensuring compliance with a focus on efficiency, inclusive of data submissions using the Identification of Medicinal Products (IDMP) ISO Standards. CASE STUDY / REGULATORY Why do NMEs and Therapeutic Biological Products Fail in the First FDA Review Cycle? Synchronizing regulatory, clinical and commercial strategies during product development to address the needs of regulators, payers, providers and patients. WHITE PAPER / COMMERCIALIZATION How can the biosimilar concept be applied to more complex proteins such as monoclonals? An overview of the biosimilar concept, focused on the European Union's approval process for "similar biological medicinal products." WHITE PAPER / COMMERCIALIZATION Drug Innnovation, Approval, Market Access and the "New Normal"
Emerging FDA review outcome trends for new drugs. Learn how PAREXEL delivered more than 700 narratives within just over 11 weeks, as a standalone service to support the pivotal CSR written in-house at the sponsor. Learn how the Testim™ brand team leveraged our integrated eMarketing approach to develop and manage an online marketing campaign designed to create awareness and stimulate demand for the product. Expertise. Operational Excellence. One Source. Watch this PAREXEL Consulting Overview by Ron Kraus, Corporate Vice President and Worldwide Head of PAREXEL Consulting. Learn how PAREXEL has been a pioneer in the development of biosimilars, providing regulatory support for more than 20 product development programs.